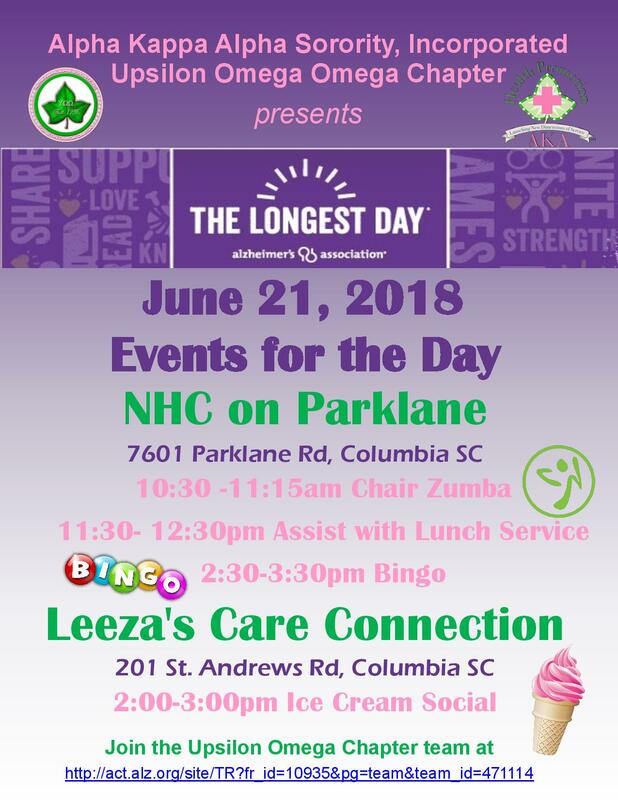 Join us for AKA National Caregivers Day! 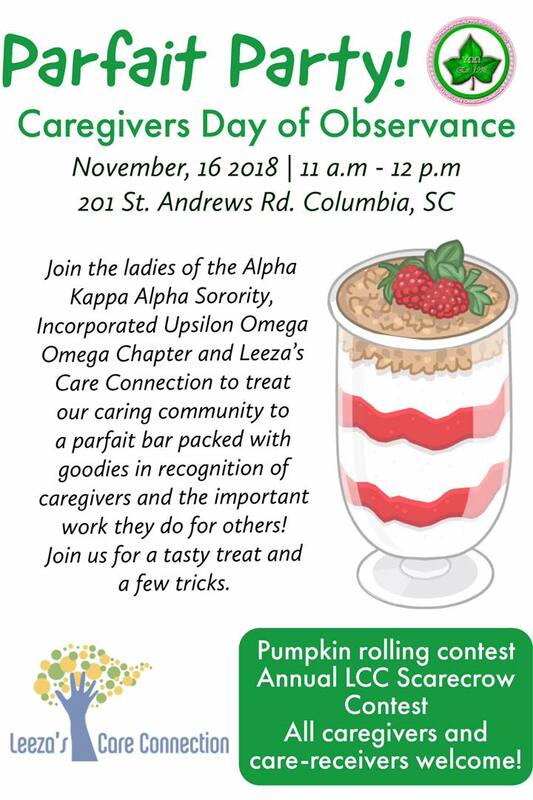 Mark your calendars... we’re having a Parfait Party in honor of AKA Caregivers Observance Day! Join us on Nov. 16th from 11-12p @ Leeza’s Care Connection to recognize our caregivers and the important work they do caring for others! JOIN OUR TEAM FOR WALK FOR LIFE! 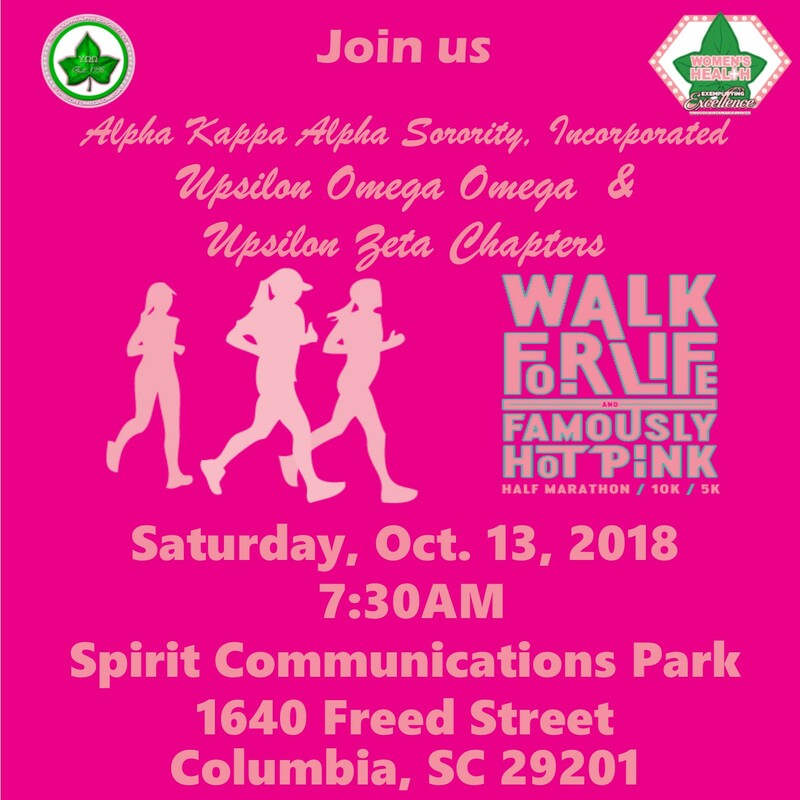 Join Upsilon Omega Omega and Upsilon Zeta Chapters Team as we walk to raise awareness for Breast Cancer during the Walk for Life and Famously Hot Pink Half Marathon. To register for our team, click here. ALL ARE WELCOME TO JOIN! 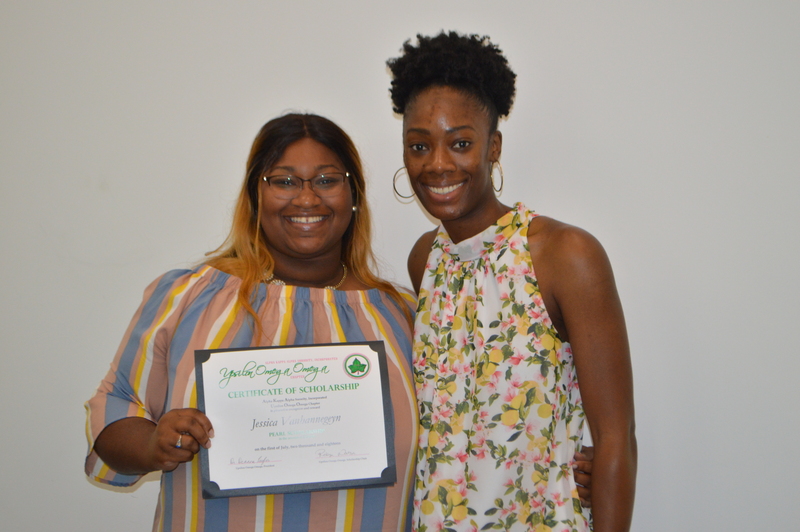 Death rates are 42% higher in black women than white women, and black women are more likely than other ethnic groups to be diagnosed at later stages of breast cancer, with the lowest survival rate at each stage of diagnosis. 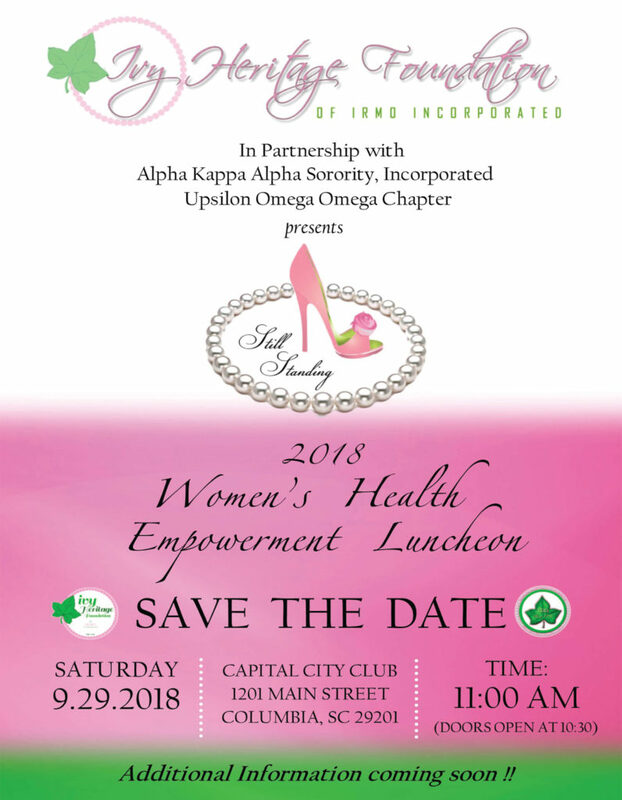 Research studies have concluded that raising awareness about risk factors which contribute to breast cancer, and early access to mammography screenings are essential to increasing the survival chances for African American women. Unfortunately, lack of access and awareness often deter African American women from getting the timely breast cancer screenings needed to save their lives. 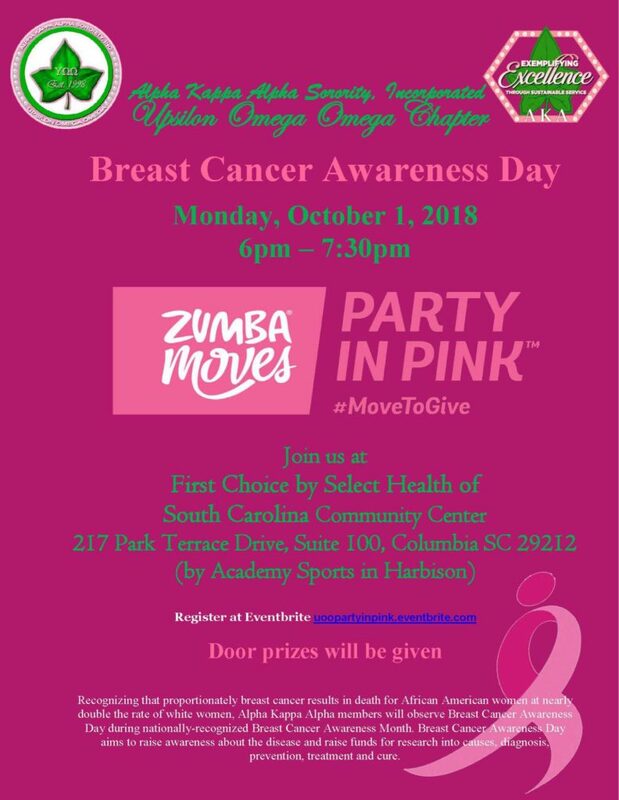 Join us on October 1, 2018 for our Breast Cancer Awareness Day to bring awareness to Breast Cancer as we Party in Pink with Zumba Moves. The Ivy Heritage Foundation/UOO Legacy Scholarship is named after Mrs. Jackie Moss-Williams, a former member of Upsilon Omega Omega and the first member to become an Ivy Beyond the Wall on January 12, 2017. Mrs. Jacqueline “Jackie” Elaine Moss-Williams was born June 18, 1939, in Lansing, Michigan. “Jackie”, as she was affectionately called by most, graduated from J. W. Sexton High School, at the age of 16. She then worked, acquired her Associates Degree from Lansing Community College in Law Enforcement. She went on and attended Western Michigan University receiving her Bachelor’s Degree with a major in Sociology and a minor in Social Work. While multitasking as a wife and mother, she began her career in Law Enforcement as “Kalamazoo’s First Black Female Officer.” She also received a Master’s Degree from Western Michigan University in Counseling and Personnel. 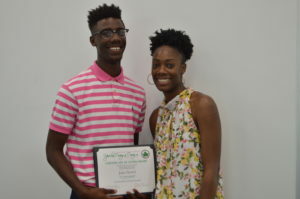 Jackie participated in numerous national and statewide seminars and workshops, dealing with civil rights, human relations, police- community relations, juveniles, women police, corrections, and curriculum design for criminal justice education. 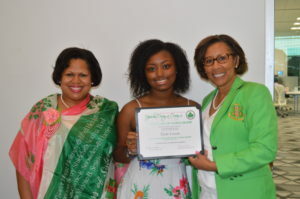 As a “lifetime” member of Alpha Kappa Alpha Sorority, Inc., she began her many years of service with Pi Tau Omega Chapter in Southfield, Michigan, and after relocating from Windsor, Canada to South Carolina, she continued her community service work under the Upsilon Omega Omega Chapter, Irmo, SC. 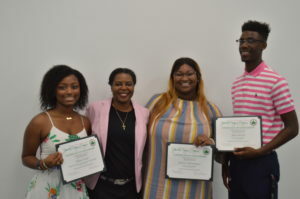 Pictured is a random act of kindness to the scholarship recipients by UOO Member, Lawanda Holliman blessing each graduate with a personal check for $100 each. Take me out to the ball game…on August 7th! 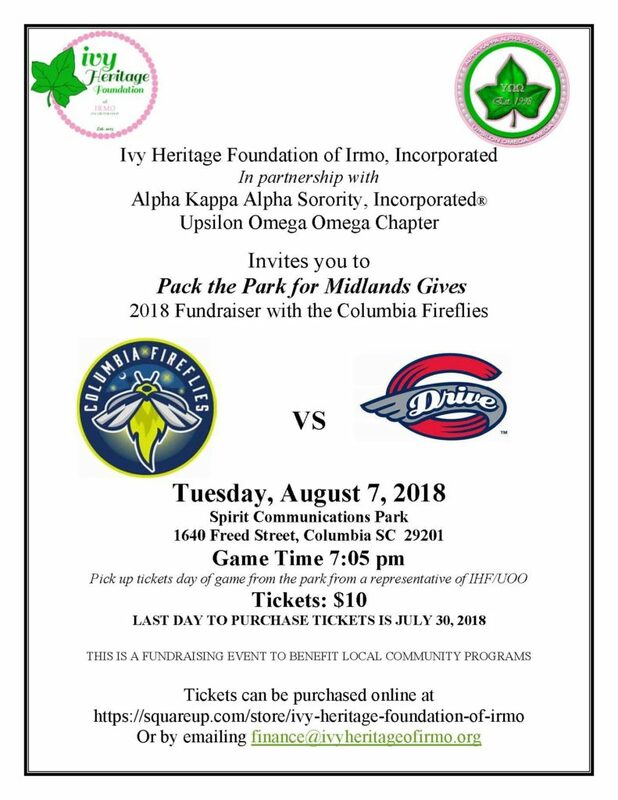 Join us and the Ivy Heritage Foundation of Irmo, Inc. as we Pack the Park for Midlands Gives. Tickets are $10 and part of the proceeds go back to the foundation for community programming. Purchasing information is detailed in the flyer. Don’t delay, get your tickets now! Annnnnnd let’s play ball! Congratulations to the 2018 Emeralds of Excellence Debutantes and Ladies in Waiting! UPDATE: RESCHEDULED FOR JUNE 9TH. Click here to register to help with the 1908 Playground Project! 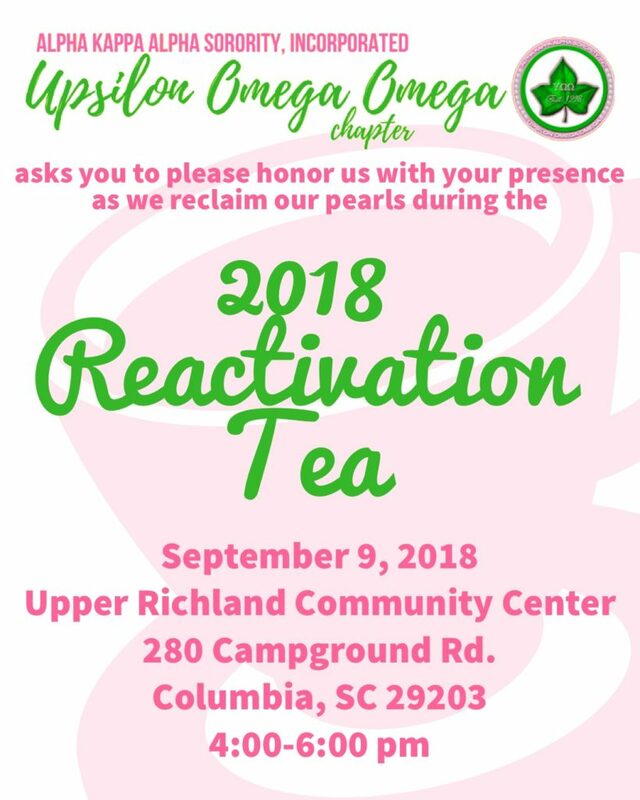 We look forward to seeing you soon as we celebrate our 2018 Debutantes! Contact the Fundraising Committee at fundraising@akairmo.org for more information about ticket purchasing and sponsorship information.